This pattern will show you how to make a pretty daisy mandala. 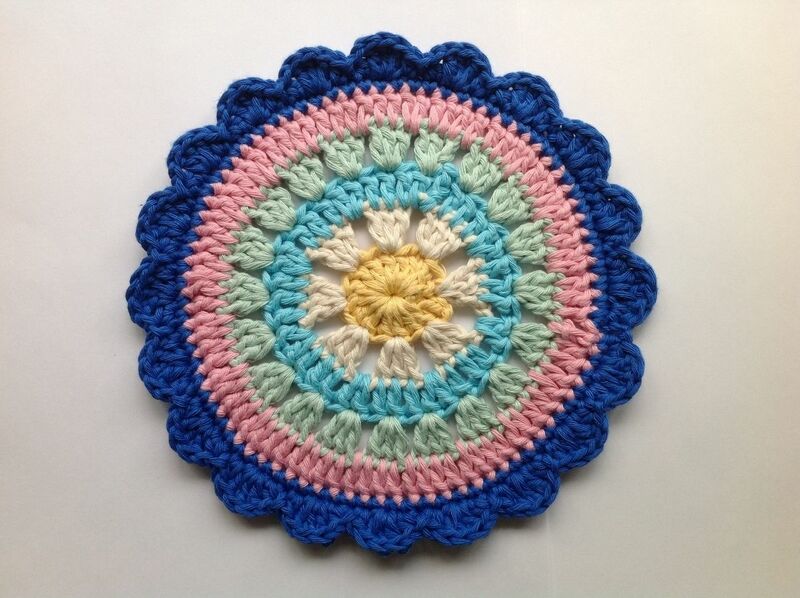 The pattern is written using US crochet terms and will require a basic knowledge of crochet. I used Drops Paris (an aran cotton yarn) and a 4mm hook to create a mandala approximately 7.5inches/19cm wide. However, you can play around with different yarns to create different sizes if you wish.